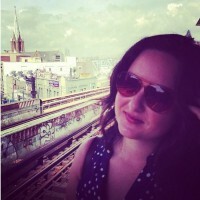 Allison Galgiani is a writer and fine arts professional from Tucson, AZ, and now lives in Bushwick. A recent M.A. graduate from Christie's Education, she is pursuing her career in freelance art writing, independent curating, and is a proponent for emerging artists in Brooklyn and elsewhere.